come with an avenger 4x4 car and a hydra offroader. 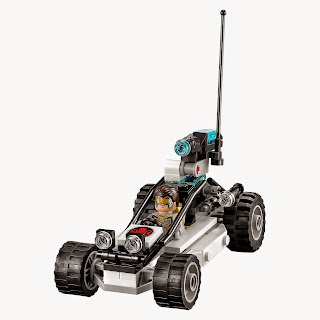 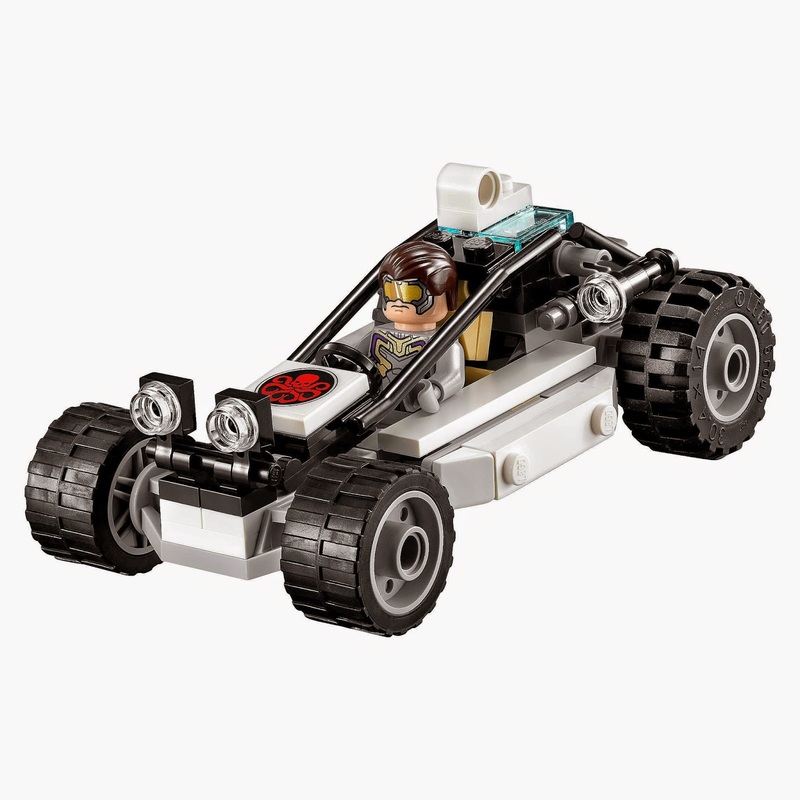 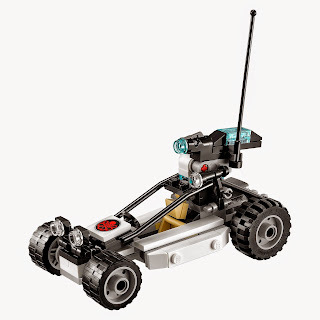 the car has a cockpit, a removable roof, a walkie talkie holder and a rotatable turret with 2 flick missiles. 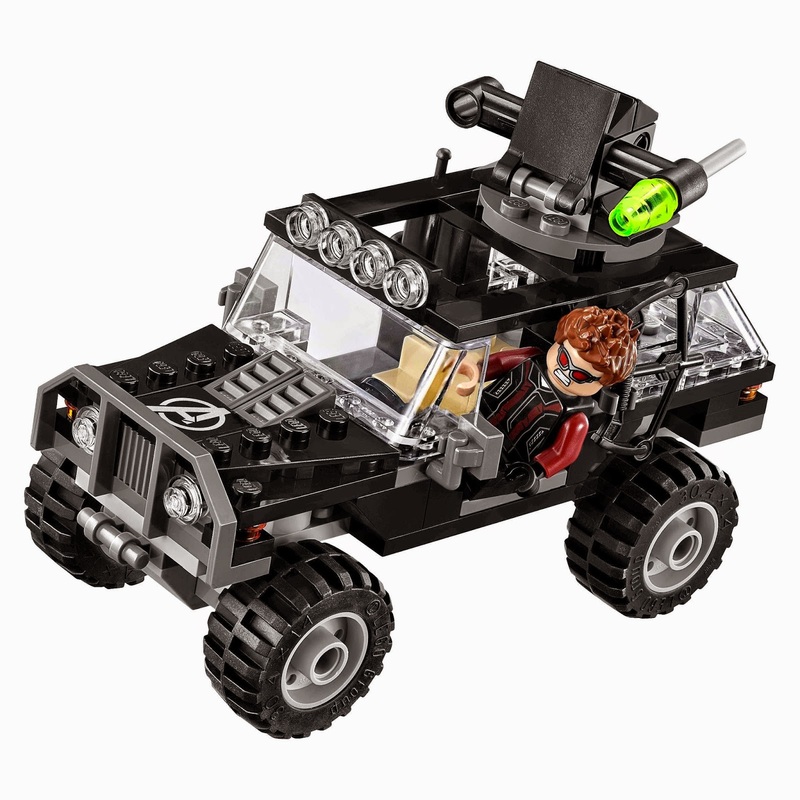 the offroader has a cockpit, an openable roll cage and a stud shooter. 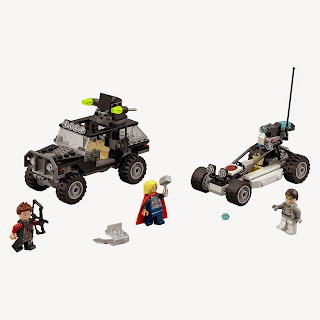 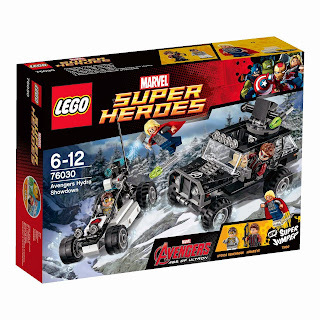 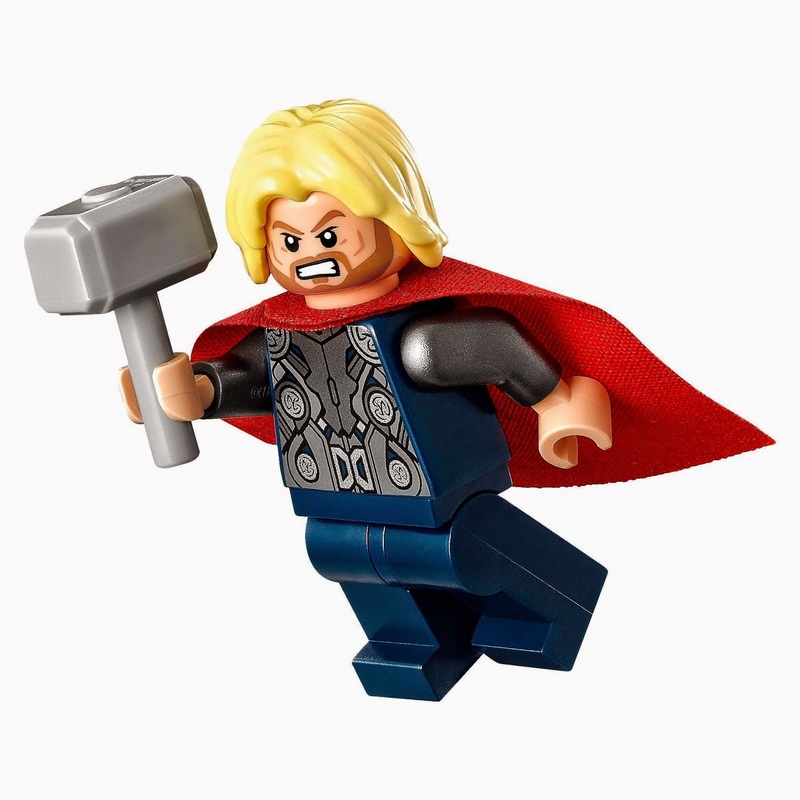 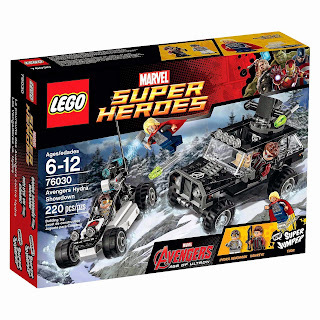 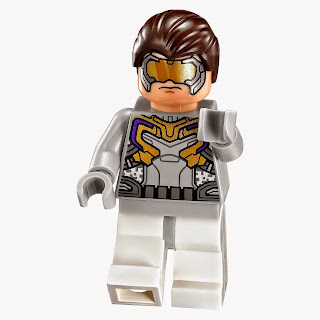 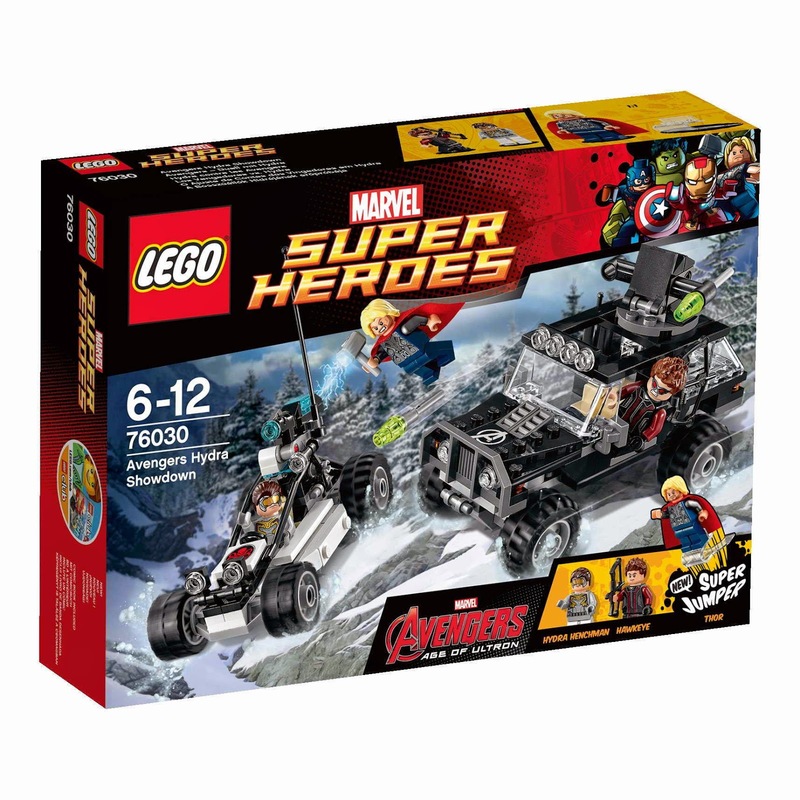 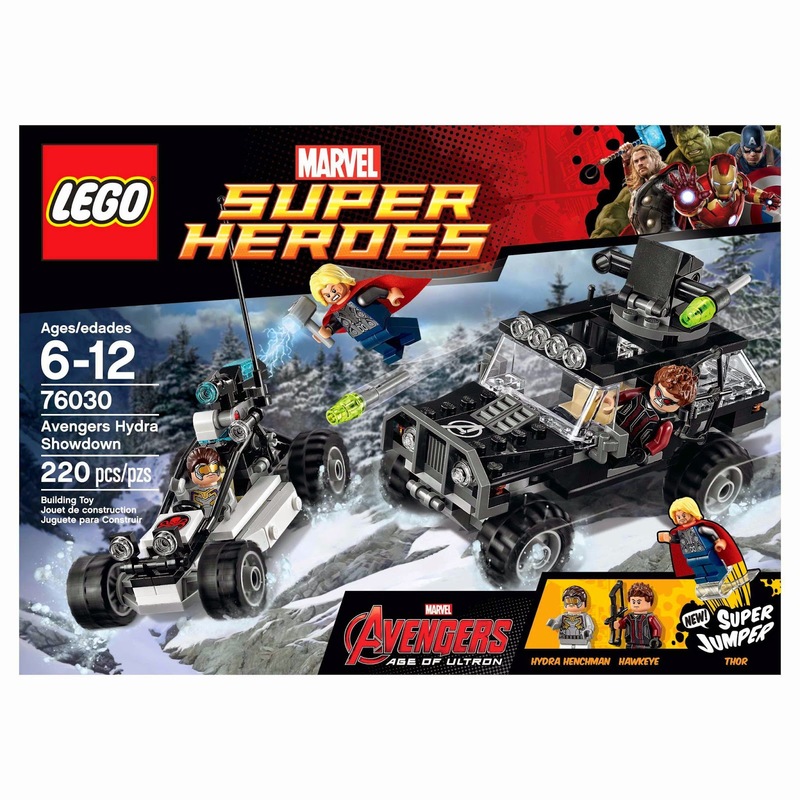 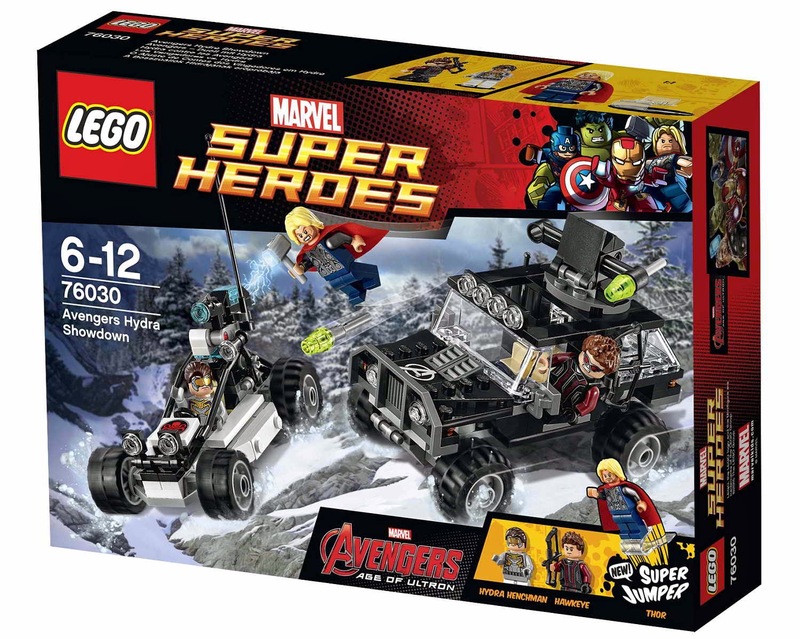 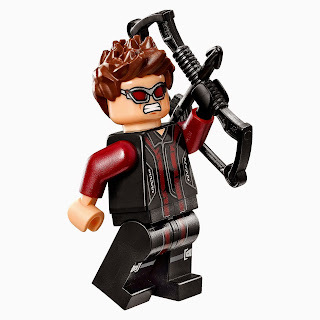 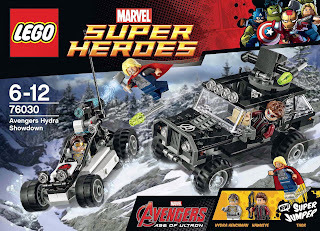 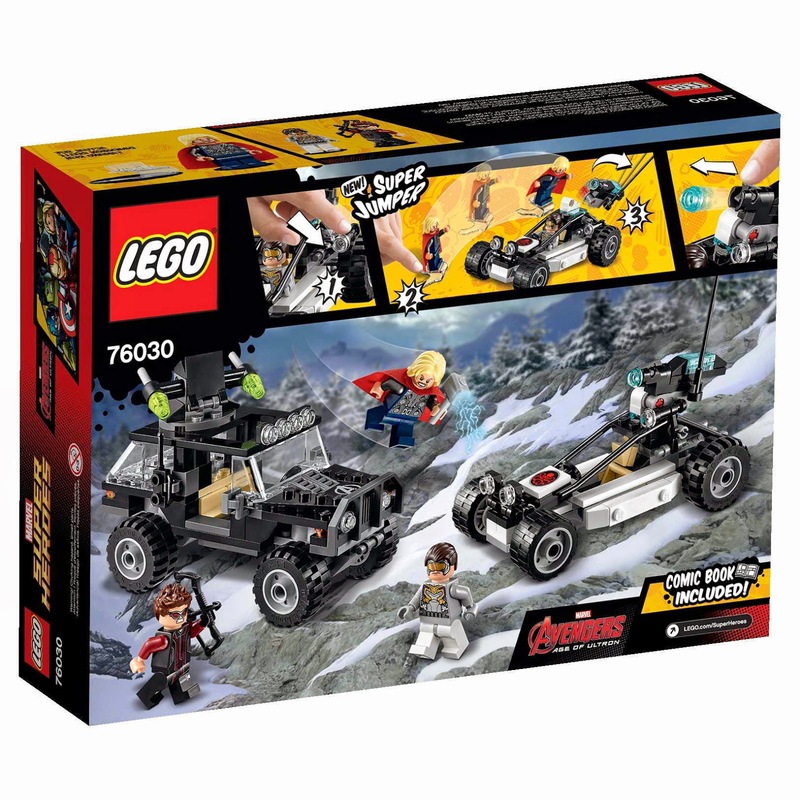 minifigs included a thor minifig, a hawkeye minifig and a hydra henchman minifig.